Turrubares is the 16th “canton¨ (town) within the San Jose province. 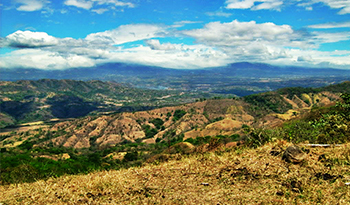 It is located 45 kilometers northwest of the city of San Jose, which is the capital of Costa Rica. Turrubares shares borders with other major towns, including Mora, Puriscal, Atenas, Garabito, Orotina, and Parrita. Like the residents of these surrounding areas, Turrubares residents tend to enjoy longer life-expectancy rates than persons living in other parts of the world (including those living in the United States), which they attribute to the great weather, abundance of fresh produce, and the stress-free environment. “Turrubares” is an Indian word meaning “several grasses,” and the town of Turrubares was named in honor of the last great Indian chief (or “cacique” in Spanish), Chief Turrubares. There is room for growth and development in Turrubares, especially in the tourism and agricultural area. The weather of Turrubares is perfect for growing African Palms, coffee, oranges, and mandarins, to name a few. Buyers interested in Turrubares will find incredibly low real estate prices when compared to other cities in Costa Rica. The low prices are attributable to Turrubares’ small population and lack of urbanization. On the other hand, many Americans and Europeans have moved to Turrubares for these very same reasons. For some retirees, the decision to retire in Costa Rica—and experience the language and culture of a foreign country—is quite enough adventure and excitement in itself. These retirees appreciate the peacefulness and quietness found in this friendly community. This peacefulness, along with the incredible weather that Costa Rica is known for, attracts people to settle in this area.